Sending a huge THANK YOU to our amazing guests and team, for helping us achieve the platinum award in the Best of Business Awards for Spa – Health and Beauty. 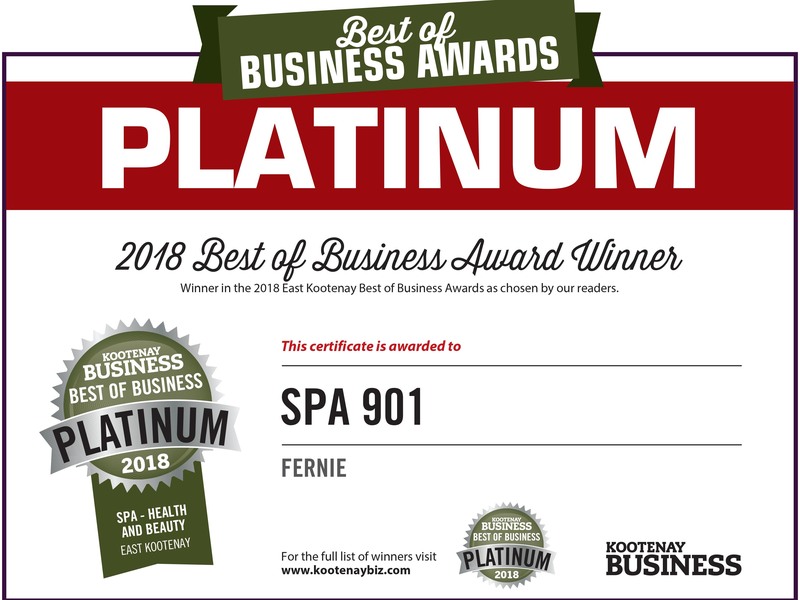 We are so proud to own and operate a small business in the Kootenay region and look forward to providing relaxation and pampering for many more years to come! Wax-On, Wax-Off. Your questions answered!